"Guineas" redirects here. For other uses, see Guinea (disambiguation). When Britain adopted the gold standard the guinea became a colloquial or specialised term. Although the coin itself no longer circulated, the term guinea survived as a unit of account in some fields. Notable usages included professional fees (medical, legal etc), which were often invoiced in guineas, and horse racing and greyhound racing, and the sale of rams. In each case a guinea meant an amount of one pound and one shilling (21 shillings), or one pound and five pence (£1.05) in decimalised currency. The name also forms the basis for the Arabic word for the Egyptian pound الجنيه el-Genēh / el-Geni, as a sum of 100 qirsh (one pound) was worth approximately 21 shillings at the end of the 19th century. The first guinea was produced on 6 February 1663; a proclamation of 27 March 1663 made the coins legal currency. One troy pound of ​11⁄12 (0.9133) fine gold (22 carat or 0.9167 pure by weight) would make ​44 1⁄2 guineas, each thus theoretically weighing 129.438 grains (8.385 grams crown gold, 7.688 grams fine gold, or 0.247191011 troy ounces fine gold). The denomination was originally worth one pound, or twenty shillings, but an increase in the price of gold during the reign of King Charles II led to the market trading it at a premium. The price of gold continued to increase, especially in times of trouble, and by the 1680s, the coin was worth 22 shillings. 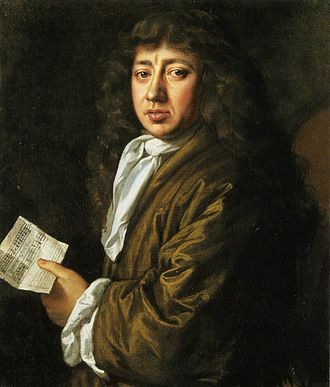 Indeed, in his diary entries for 13 June 1667, Samuel Pepys records that the price was 24 to 25 shillings. The diameter of the coin was 1 in (25.4 mm) throughout Charles II's reign, and the average gold purity (from an assay done in 1773 of samples of the coins produced during the preceding year) was 0.9100. "Guinea" was not an official name for the coin, but much of the gold used to produce the early coins came from Guinea in Africa. The coin was produced each year between 1663 and 1684, with the elephant appearing on some coins each year from 1663 to 1665 and 1668, and the elephant and castle on some coins from 1674 onward. The elephant, with or without the castle, symbolises the Royal African Company (founded in 1660), whose activities on the Guinea Coast of Africa resulted in the importation of much gold into England. The obverse and reverse of this coin were designed by John Roettier (1631–c. 1700). The obverse showed a fine right-facing bust of the king wearing a laurel wreath (amended several times during the reign), surrounded by the legend CAROLVS II DEI GRATIA ("Charles II by the grace of God"), while the reverse showed four crowned cruciform shields bearing the arms of England, Scotland, France, and Ireland, between which were four sceptres, and in the centre were four interlinked "C"s, surrounded by the inscription MAG BR FRA ET HIB REX ("Of Great Britain, France, and Ireland King"). The edge was milled to deter clipping or filing, and to distinguish it from the silver half-crown which had edge lettering. Until 1669 the milling was perpendicular to the edge, giving vertical grooves, while from 1670 the milling was diagonal to the edge. John Roettier continued to design the dies for this denomination in the reign of King James II. 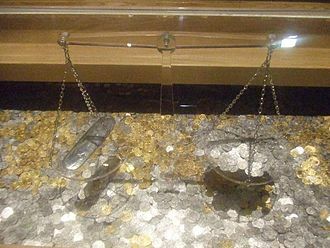 In this reign, the coins weighed 8.5 g (0.30 oz) with a diameter of 25–26 mm (0.98–1.02 in), and were minted in all years between 1685 and 1688, with an average gold purity of 0.9094. Coins of each year were issued both with and without the elephant and castle mark. The king's head faces left in this reign, and is surrounded by the inscription IACOBVS II DEI GRATIA ("James II by the grace of God"), while the reverse is the same as in Charles II's reign except for omitting the interlinked "C"s in the centre of the coin. The edge of the coins are milled diagonally. 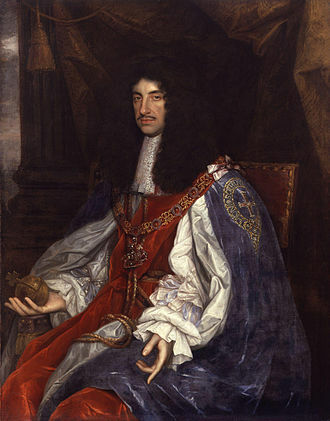 With the removal of James II in the Glorious Revolution of 1688, his daughter Mary and her husband Prince William of Orange reigned jointly as co-monarchs. Their heads appear conjoined on the guinea piece in Roman style, with William's head uppermost, with the legend GVLIELMVS ET MARIA DEI GRATIA ("William and Mary by the grace of God"). In a departure from the previous reigns, the reverse featured a totally new design of a large crowned shield which bore the arms of England and France in the first and fourth quarters, of Scotland in the second quarter, and of Ireland in the third quarter, the whole ensemble having a small shield in the centre bearing the rampant lion of Nassau; the legend on the obverse read MAG BR FR ET HIB REX ET REGINA (Of "Magna Britannia" Great Britain, "Francia" France and "Hibernia" Ireland King and Queen) and the year. 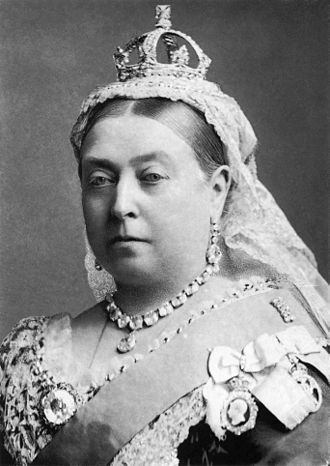 By the early part of this reign the value of the guinea had increased to nearly 30 shillings. The guineas of this reign weighed 8.5 g (0.30 oz), were 25–26 mm (0.98–1.02 in) in diameter, and were the work of James and Norbert Roettier. They were produced in all years between 1689 and 1694 both with and without the elephant and castle; in 1692 and 1693 the mark of the elephant alone was also used. 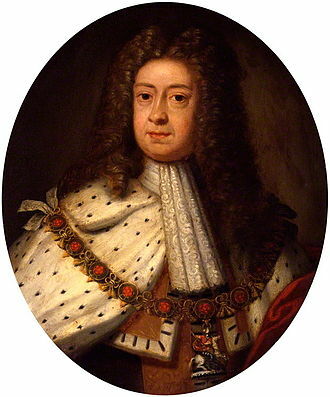 Following the death of Queen Mary from smallpox in 1694, William continued to reign as William III. The guinea coin was produced in all years from 1695 to 1701, both with and without the elephant and castle, the design probably being the work of Johann Crocker, also known as John Croker, since James Roettier had died in 1698 and his brother Norbert had moved to France in 1695. The coins of William III's reign weighed 8.4 g (0.30 oz) with an average gold purity of 0.9123. The diameter was 25–26 mm (0.98–1.02 in) until 1700 and 26–27 mm (1.02–1.06 in) in 1701. William's head faces right on his coins, with the legend GVLIELMVS III DEI GRATIA, while the reverse design of William and Mary's reign was judged to be unsuccessful, so the design reverted to that used by Charles II and James II, but with a small shield with the lion of Nassau in the centre, with the legend MAG BR FRA ET HIB REX and the year. The coin had a diagonal milled edge. 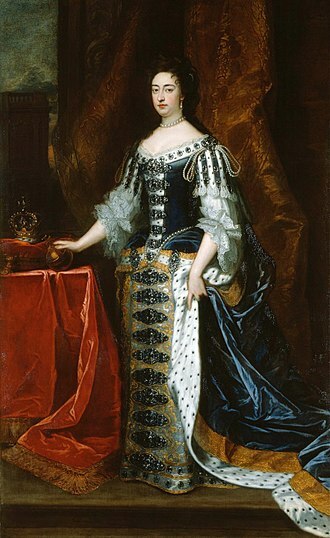 The reign of Queen Anne (1702–1714) produced guineas in all years between 1702 and 1714 except for 1704. 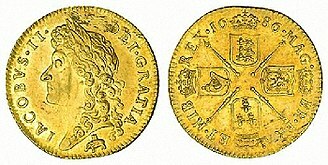 The 1703 guinea bears the word VIGO under the Queen's bust, to commemorate the origin of the gold taken from Spanish ships captured at the Battle of Vigo Bay. 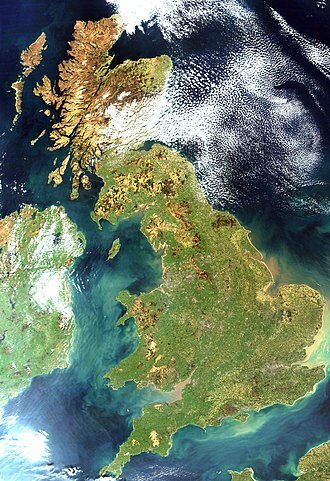 With the Acts of Union 1707 creating a unified Kingdom of Great Britain through the union of the Parliament of Scotland with the Parliament of England, the design of the reverse of the first truly British guinea was changed. 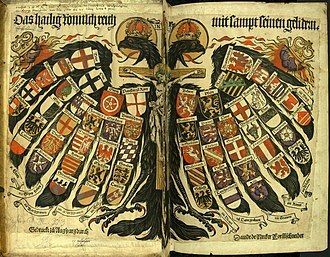 Until the Union, the cruciform shields on the reverse showed the arms of England, Scotland, France, and Ireland in order, separated by sceptres and with a central rose, and the legend MAG BR FRA ET HIB REG ("Of Great Britain, France, and Ireland Queen") and the year. With the Act of Union, the English and Scottish arms appear conjoined on one shield, with the left half being the English arms and the right half being the Scottish arms, and the order of arms appearing on the shields becomes England and Scotland, France, England and Scotland, Ireland. The elephant and castle can appear on the coins of 1708 and 1709. The centre of the reverse design shows the Star of the Order of the Garter. The coins weighed 8.3 g (0.29 oz), were 25 mm (0.98 in) in diameter, and had a gold purity of 0.9134. The edge of the coin is milled diagonally. The dies for all guineas of Queen Anne and King George I were engraved by John Croker, an immigrant originally from Dresden in the Duchy of Saxony. King George I's guinea coins were struck in all years between 1714 and 1727, with the elephant and castle sometimes appearing in 1721, 1722, and 1726. His guineas are notable for using five different portraits of the king, and the 1714 coin is notable for declaring him to be Prince Elector of the Holy Roman Empire. The coins weighed 8.3–8.4 grams, were 25–26 millimetres in diameter, and the average gold purity was 0.9135. The 1714 obverse shows the right-facing portrait of the king with the legend GEORGIVS D G MAG BR FR ET HIB REX F D ("George, by the grace of God of Great Britain, France, and Ireland King, Fidei Defensor"), while the later coins bear the legend GEORGIVS D G M BR FR ET HIB REX F D. The reverse follows the same general design as before, except the order of the shields is England and Scotland, France, Ireland, and Hanover, with the legend in 1714 BRVN ET LVN DUX S R I A TH ET PR EL ("Duke of Brunswick and Lueneburg, Arch-Treasurer and Prince Elector of the Holy Roman Empire") and the year, and in other years BRVN ET L DUX S R I A TH ET EL ("Duke of Brunswick and Lueneburg, Arch-Treasurer and Elector of the Holy Roman Empire") and the year. The edge of the coin is milled diagonally. The value of the guinea had fluctuated over the years from 20 to 30 shillings and back down to 21 shillings and sixpence by the start of George's reign. In 1717, Great Britain adopted the gold standard, at a rate of one guinea to 129.438 grains (8.38 g, 0.30 oz) of crown gold, which was 22 carat gold, and a royal proclamation in December of the same year fixed the value of the guinea at 21 shillings. King George II's guinea pieces are a complex issue, with eight obverses and five reverses used through the 33 years of the reign. The coins were produced in all years of the reign except 1742, 1744, 1754, and 1757. The coins weighed 8.3–8.4 g (0.29–0.30 oz), and were 25–26 mm (0.98–1.02 in) in diameter except for some of the 1727 coins which were 24–25 mm. 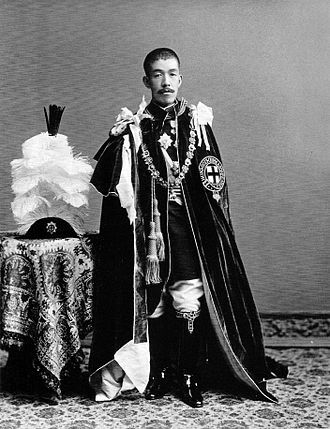 The average gold purity was 0.9140. Some coins issued between 1729 and 1739 carry the mark EIC under the king's head, to indicate the gold was provided by the East India Company, while some 1745 coins carry the mark LIMA to indicate the gold came from Admiral George Anson's round-the-world voyage. In the early part of the reign the edge of the coin was milled diagonally, but from 1739 following the activities of a particularly bold gang of guinea filers for whom a reward was posted, the milling was changed to produce the shape of a chevron or arrowhead. In 1732 the old hammered gold coinage was demonetised, and it is thought that some of the old coins were melted down to create more guineas. The obverse has a left-facing bust of the king with the legend GEORGIVS II DEI GRATIA (GEORGIUS II DEI GRA between 1739 and 1743), while the reverse features a single large crowned shield with the quarters containing the arms of England+Scotland, France, Hanover, and Ireland, and the legend M B F ET H REX F D B ET L D S R I A T ET E ("King of Great Britain, France and Ireland, Defender of the Faith, Duke of Brunswick and Lüneburg, Arch-Treasurer and Elector of the Holy Roman Empire"). Unlike the two-guinea and five-guinea coins, production of the guinea continued through much of the long reign of King George III. 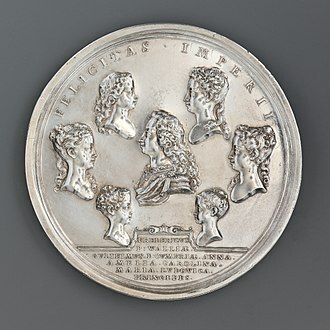 The guineas of King George III weighed 8.4 g (0.30 oz) and were 24 mm (0.94 in) in diameter, with an average gold purity (at the time of the 1773 assay) of 0.9146 (meaning it contained 7.7 g (0.27 oz) of gold). They were issued with six different obverses and three reverses in 1761, 1763–79, 1781–99, and 1813. All the obverses show right-facing busts of the king with the legend GEORGIVS III DEI GRATIA with different portraits of the king. The reverse of guineas issued between 1761 and 1786 show a crowned shield bearing the arms of England+Scotland, France, Ireland and Hanover, with the legend M B F ET H REX F D B ET L D S R I A T ET E and the date ("King of Great Britain, France and Ireland, Defender of the Faith, Duke of Brunswick and Lüneburg, Arch-Treasurer and Elector of the Holy Roman Empire"). In 1787 a new design of reverse featuring a spade-shaped shield was introduced, with the same legend; this has become known as the spade guinea. In 1774 almost 20 million worn guineas of King William III and Queen Anne were melted down and recoined as guineas and half-guineas. Towards the end of the century gold began to become scarce and rise in value. The French Revolution and the subsequent French Revolutionary Wars had drained gold reserves and people started hoarding coins. Parliament passed a law making banknotes legal tender in any amount, and in 1799 the production of guineas was halted, although half- and third-guineas continued to be struck. Following the Act of Union between Great Britain and Ireland in 1800, the king's titles changed, and an Order in Council of 5 November 1800 directed the Master of the Mint to prepare a new coinage, but although designs were prepared, the production of guineas was not authorised. In 1813 it was necessary to strike 80,000 guineas to pay the Duke of Wellington's army in the Pyrenees, as the local people would accept only gold in payment. This issue has become known as the Military Guinea. At this time, gold was still scarce and the guinea was trading on the open market for 27 shillings in paper money, so the coining of this issue for the army's special needs was a poor deal for the government, and this was the last issue of guineas to be minted. The reverse of the military guinea is a unique design, showing a crowned shield within a Garter, with HONI SOIT QUI MAL Y PENSE on the Garter, and BRITANNIARUM REX FIDEI DEFENSOR ("King of the Britains, Defender of the Faith") around the edge, and "1813" between the edge inscription and the garter. 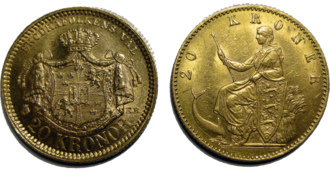 In the Great Recoinage of 1816, the guinea was replaced by the pound as the major unit of currency, and in coinage by the sovereign. Even after the guinea coin ceased to circulate, the name guinea was long used to indicate the amount of 21 shillings (£1.05 in decimalised currency). 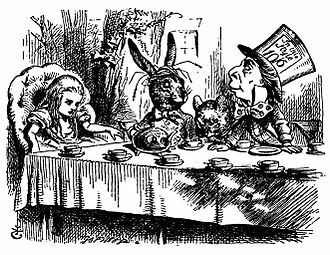 The guinea had an aristocratic overtone, so professional fees, or prices of land, horses, art, bespoke tailoring, furniture, white goods and other "luxury" items were often quoted in guineas until a couple of years after decimalisation in 1971. The guinea was used in a similar way in Australia until that country converted to decimal currency in 1966, after which it became worth A$2.10. It is still quoted in the pricing and sale of racehorses at auction, but not livestock at which the purchaser will pay in guineas but the seller will receive payment in an equal number of pounds. The difference (5p in each guinea) is traditionally the auctioneer's commission (which thus, effectively, amounts to 5% on top of the sales price free from commission). Many major horse races in Great Britain, Ireland, Canada, New Zealand and Australia bear names ending in "1,000 Guineas" or "2,000 Guineas", even though the nominal values of their purses today are much higher than the £1,050 or £2,100 suggested by their names. In 2013 the Royal Mint issued a £2 coin to celebrate the 350th anniversary of the minting of the first guinea coin. The new coin was designed by the artist Anthony Smith and features a reworking of the spade guinea from the late 18th century. The edge of the coin contains a quote from the writer Stephen Kemble (1758–1822); "What is a guinea? ‘Tis a splendid thing." This was the first time in the United Kingdom that one coin has been used to celebrate another. Egyptian pound, the native name of which is derived from the guinea, to which it was approximately equal in value in the late 19th century. ^ a b c Roberts, Chris (2006). Heavy Words Lightly Thrown: The Reason Behind Rhyme. Thorndike Press. ISBN 0-7862-8517-6. ^ Chambers, Robert (1885). Domestic Annals of Scotland. Edinburgh : W & R Chambers. p. 259. ^ Margolin, Sam (2010). "Guineas". In Rice, Kym S.; Katz-Hyman, Martha B. (eds.). World of a Slave: Encyclopedia of the Material Life of Slaves in the United States. ABC-CLIO. p. 259. ISBN 9780313349430. Retrieved 2015-02-08. 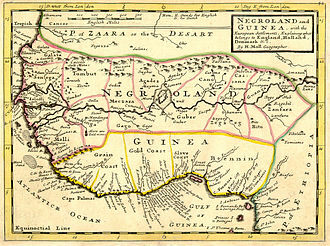 The coins were named because much of the gold used to produce them came from the Gold or 'Guinea' Coast of West Africa and was provided by the Royal African Company, which had been granted a monopoly of the Africa trade from 1672 until 1698. Coins produced from African gold bore the company's distinctive emblem below the monarch's head: an elephant or elephant and a castellated howdah, an ornate canopied seat used for riding on elephants and camels. ^ Kindleberger, Charles P. (1993). A financial history of western Europe. Oxford: Oxford University Press. pp. M1 60–63. ISBN 0-19-507738-5. 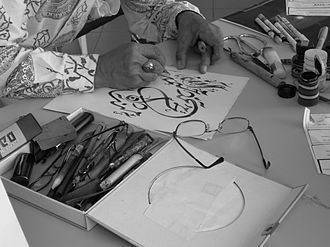 OCLC 26258644. ^ Flood, John A. (1983). Barristers' Clerks: Middlemen of the Law (PDF). Manchester University Press. ISBN 0-7190-0928-6. Retrieved 2009-03-01. ^ "Two Pound Coins". Royal Mint. Retrieved 31 October 2016. ^ "The 350th Anniversary of the Guinea 2013". Royal Mint. Retrieved 31 October 2016. Wikimedia Commons has media related to Guinea coins. Hibernia is the Classical Latin name for the island of Ireland. 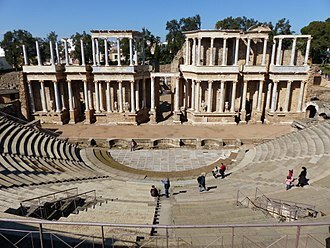 The name Hibernia was taken from Greek geographical accounts, during his exploration of northwest Europe, Pytheas of Massilia called the island Iérnē. In his book Geographia, Claudius Ptolemaeus called the island Iouerníā, the Roman historian Tacitus, in his book Agricola, uses the name Hibernia. The Romans sometimes used Scotia, land of the Scoti, as a term for Ireland in general. Ιουέρνια Iouerníā was a Greek rendering of the Q-Celtic name *Īweriū from which arose the Irish names Ériu. The name was altered in Latin as though it meant land of winter, the High King Brian Boru based his title on being emperor of the Irish people, which was in Latin, Imperator Scottorum, as distinct from claiming to be Emperor of the island of Ireland. From 1172 the Lordship of Ireland gave the King of England the additional title Dominus Hibernie, the Kingdom of Ireland created the title Rex Hiberniae, King of Ireland, for use in Latin texts. Gerard Mercator called Ireland Hybernia on his map of 1541. In 1642 the motto of the Irish Confederates, a Catholic-landlord administration that ruled much of Ireland until 1650 was, Pro Deo, Rege et Patria, Hibernia Unanimis. However, unlike many Roman geographical names, the Latin Hibernia did not become the basis for the name for Ireland in any modern languages, apart from the Celtic languages all modern languages use a local variant of the English Ireland. This contrasts with Wales, which is still Pays de Galles in French, by the classicising 18th century the use of Hibernia had revived in some contexts, just as had the use of Caledonia, one of the Latin terms for Scotland, and Britannia for Britain. Hibernia was used on Irish coins and companies such as the Hibernian Insurance Company were established, the name took on popularity with the success of the Irish Patriot Party. Hibernian was used as a term for people, and a general adjective, the Royal Exchange in Dublin was built in 1769–79 with the carved inscription SPQH for Senatus PopulusQue Hibernicus – The senate and people of Ireland. From the 1340s to the 19th century, excluding two brief intervals in the 1360s and the 1420s, the kings and queens of England claimed the throne of France. The claim dates from Edward III, who claimed the French throne in 1340 as the nephew of the last direct Capetian. Despite this and British monarchs continued to call themselves kings of France. This continued until 1801, by which time France had no monarch, the Jacobite claimants, did not explicitly relinquish the claim. The title was first assumed in 1340 by Edward III of England, Edward III claimed the throne of France after the death of his uncle Charles IV of France. At the time of Charles IVs death in 1328, Edward was his nearest male relative through Edwards mother Isabella of France, since the election of Hugh Capet in 987, the French crown had always passed based on male-line relations. There was no precedent for succeeding to the French throne based on his maternal ancestry. 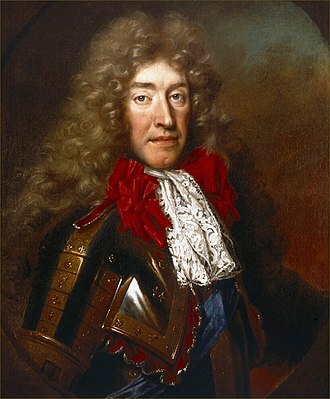 Philip arranged for his coronation, and became Philip V of France and he was challenged by the supporters of the Princess Joan, daughter of Louis X, on the basis of his right to the throne. In response, he convened an assembly of prelates and burgesses at Paris, who acknowledged him as their lawful king, at the time of Charless death in 1328, there was once again a dispute over the succession. At the time, Edward paid homage to Philip VI for his Duchy of Aquitaine, however, in 1337, Edward, in his capacity as Duke of Aquitaine, refused to pay homage to Philip. The decision to assume the title of King of France was made at the solicitation of his Flemish allies, who had signed a treaty that they would no longer attack the French king. They said that if Edward took the French royal title, the Flemish would be able to keep their honor, Edward continued to use this title until the Treaty of Brétigny on 8 May 1360, when he abandoned his claims in return for substantial lands in France. After the resumption of hostilities between the English and the French in 1369, Edward resumed his claim and the title of King of France, Henry V adopted the title Heir of France instead. Henry V and Charles VI died within two months of each other in 1422, and Henry Vs infant son Henry VI became King of France. The Egyptian pound is the currency of Egypt. It is divided into 100 piastres, or ersh, or 1,000 millimes, the Egyptian pound is frequently abbreviated as LE or L. E. which stands for livre égyptienne. E£ and £E are commonly used on the internet, the name Genēh is derived from the Guinea coin, which had almost the same value of 100 piastres at the end of the 19th century. In 1834, a Khedival Decree was issued providing for the issuing of an Egyptian currency based on a base, i. e. based on gold. The Egyptian pound, known as the geneih, was introduced, the piastre continued to circulate as 1⁄100 of a pound, with the piastre subdivided into 40 para. 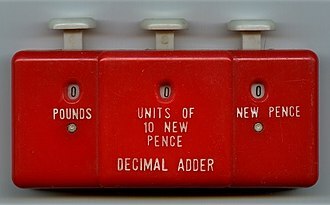 In 1885, the para ceased to be issued, and the piastre was divided into tenths and these tenths were renamed milliemes in 1916. The legal exchange rates were fixed by force of law for important foreign currencies which became acceptable in the settlement of internal transactions, eventually this led to Egypt using a de facto gold standard between 1885 and 1914, with E£1 =7.4375 grams pure gold. At the outbreak of World War I, the Egyptian pound was pegged to the British pound sterling at EG£0.975 per GB£1. Egypt remained part of the Sterling Area until 1962, when Egypt devalued slightly and switched to a peg to the United States dollar and this peg was changed to 1 pound =2.55555 dollars in 1973 when the dollar was devalued. The pound was devalued in 1978 to a peg of 1 pound =1.42857 dollars. However, until 2001, the float was tightly managed by the Central Bank of Egypt and foreign exchange controls were in effect. The Central Bank of Egypt voted to end the regime and allowed the pound to float freely on 3 November 2016. The Egyptian pound was used in Anglo-Egyptian Sudan between 1899 and 1956, and Cyrenaica when it was under British occupation and an independent emirate between 1942 and 1951. The National Bank of Egypt issued banknotes for the first time on 3 April 1899, the Central Bank of Egypt and the National Bank of Egypt were unified into the Central Bank of Egypt in 1961. Several unofficial popular names are used to refer to different values of Egyptian currency and these include nekla for 2 milliemes, tarifa for 5 milliemes, shelen for 5 piastres, bariza for 10 piastres, and reyal for 20 piastres. 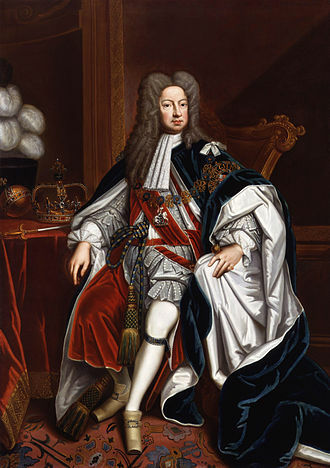 George I was King of Great Britain and Ireland from 1 August 1714 until his death, and ruler of the Duchy and Electorate of Brunswick-Lüneburg in the Holy Roman Empire from 1698. 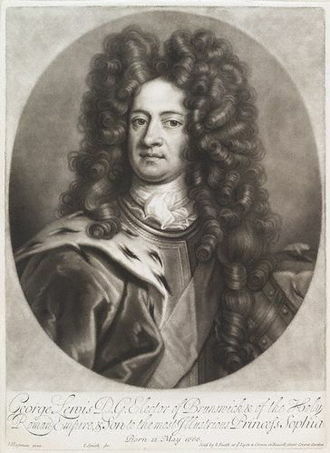 George was born in Hanover and inherited the titles and lands of the Duchy of Brunswick-Lüneburg from his father, a succession of European wars expanded his German domains during his lifetime, and in 1708 he was ratified as prince-elector of Hanover. At the age of 54, after the death of his second cousin Queen Anne of Great Britain, in reaction, Jacobites attempted to depose George and replace him with Annes Catholic half-brother, James Francis Edward Stuart, but their attempts failed. During Georges reign, the powers of the monarchy diminished and Britain began a transition to the system of cabinet government led by a prime minister. Towards the end of his reign, actual power was held by Sir Robert Walpole. 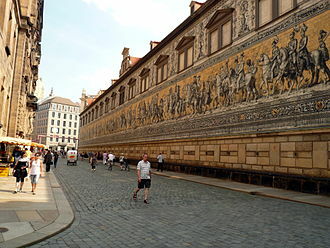 George died of a stroke on a trip to his native Hanover, George was born on 28 May 1660 in Hanover in the Holy Roman Empire. He was the eldest son of Ernest Augustus, Duke of Brunswick-Lüneburg, Sophia was the granddaughter of King James I of England through her mother, Elizabeth of Bohemia. 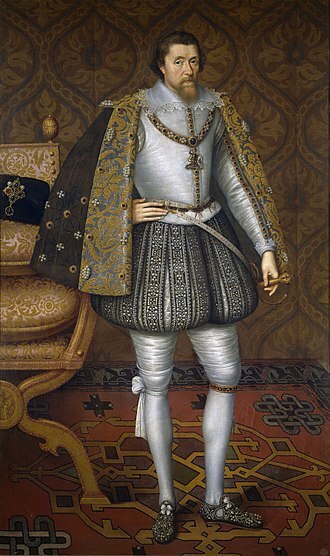 For the first year of his life, George was the heir to the German territories of his father. In 1661 Georges brother, Frederick Augustus, was born and the two boys were brought up together, after Sophias tour she bore Ernest Augustus another four sons and a daughter. In her letters, Sophia describes George as a responsible, conscientious child who set an example to his brothers and sisters. In 1679 another uncle died unexpectedly without sons and Ernest Augustus became reigning Duke of Calenberg-Göttingen, Georges surviving uncle, George William of Celle, had married his mistress in order to legitimise his only daughter, Sophia Dorothea of Celle, but looked unlikely to have any further children. 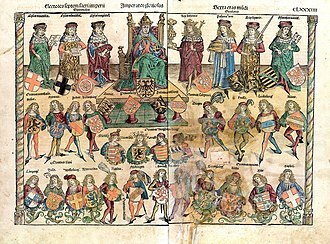 Under Salic law, where inheritance of territory was restricted to the male line, in 1682, the family agreed to adopt the principle of primogeniture, meaning George would inherit all the territory and not have to share it with his brothers. 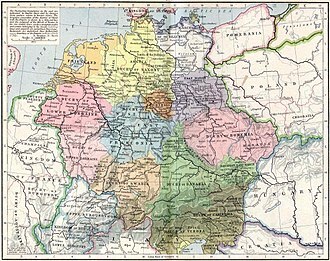 The same year, George married his first cousin, Sophia Dorothea of Celle, the marriage of state was arranged primarily as it ensured a healthy annual income and assisted the eventual unification of Hanover and Celle. His mother was at first against the marriage because she looked down on Sophia Dorotheas mother and she was eventually won over by the advantages inherent in the marriage. 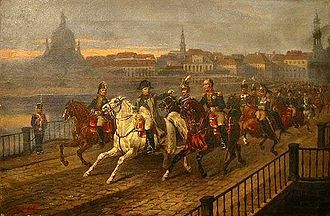 In 1683, George and his brother, Frederick Augustus, served in the Great Turkish War at the Battle of Vienna, and Sophia Dorothea bore George a son, George Augustus. The following year, Frederick Augustus was informed of the adoption of primogeniture and it led to a breach between father and son, and between the brothers, that lasted until Frederick Augustuss death in battle in 1690. With the imminent formation of a single Hanoverian state, and the Hanoverians continuing contributions to the Empires wars, Georges prospects were now better than ever as the sole heir to his fathers electorate and his uncles duchy. A gold standard is a monetary system in which the standard economic unit of account is based on a fixed quantity of gold. Three types can be distinguished, specie and exchange, the gold bullion standard is a system in which gold coins do not circulate, but the authorities agree to sell gold bullion on demand at a fixed price in exchange for the circulating currency. The gold exchange standard usually does not involve the circulation of gold coins. This creates a de facto standard, where the value of the means of exchange has a fixed external value in terms of gold that is independent of the inherent value of the means of exchange itself. Most nations abandoned the standard as the basis of their monetary systems at some point in the 20th century. An estimated total of 174,100 tonnes of gold have been mined in human history and this is roughly equivalent to 5.6 billion troy ounces or, in terms of volume, about 9,261 cubic metres, or a cube 21 metres on a side. There are varying estimates of the volume of gold mined. One reason for the variance is that gold has been mined for thousands of years, another reason is that some nations are not particularly open about how much gold is being mined. In addition, it is difficult to account for the output in illegal mining activities. World production for 2011 was at 2,700 tonnes, since the 1950s, annual gold output growth has approximately kept pace with world population growth of around 2x, although far less than world economic growth of some 8x, or some 4x since 1980. The gold specie standard arose from the acceptance of gold as currency. Various commodities have been used as money, the one that loses the least value over time becomes the accepted form, the use of gold as money began thousands of years ago in Asia Minor. During the early and high Middle Ages, the Byzantine gold solidus, commonly known as the bezant, was used widely throughout Europe, however, as the Byzantine Empires economic influence declined, so too did the use of the bezant. In its place, European territories chose silver as its currency over gold, Silver pennies based on the Roman denarius became the staple coin of Mercia in Great Britain around the time of King Offa, circa CE 757–796. 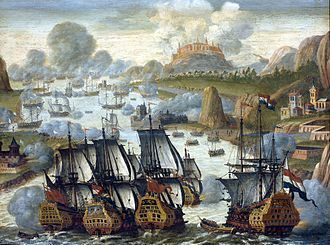 The Battle of Vigo Bay, known as the Battle of Rande was a naval engagement fought on 23 October 1702 during the opening years of the War of the Spanish Succession. 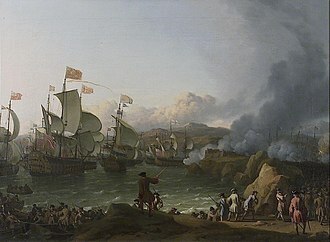 The engagement followed an Anglo-Dutch attempt to capture the Spanish port of Cádiz in September in an effort to secure a base in the Iberian Peninsula. From this station the Allies had hoped to conduct operations in the western Mediterranean Sea, Philips van Almonde convinced Rooke to attack the treasure ships, despite the lateness of the year and the fact that the vessels were protected by French ships-of-the-line. Yet because most of the treasure had been off-loaded before the attack, the victory was a welcome boost to Allied morale and had helped persuade the Portuguese King, Peter II, to abandon his earlier treaty with the French, and join the Grand Alliance. The accession of the Bourbon Philip V to the Spanish throne in 1700 had aroused opposition in Spain. In the Spanish American empire, however and colonists resisted French attempts to take over their trade. The first French squadron sailed in April 1701 under the Marquis de Coëtlogon, but the Spanish governors would not even him to buy victuals. Nevertheless, the weakness of the Spanish navy left the government in Madrid little choice, every effort was made to ensure that the bullion was landed in Spain rather than France, from where it might never return. The naval campaign of 1702 was therefore played out in two distant theatres of America and Spain, linked together by the trail of the Spanish treasure ships across the Atlantic. 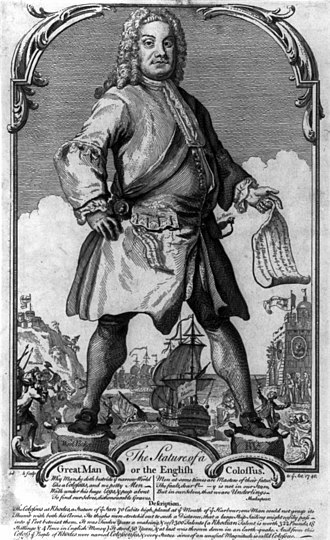 The American theatre became a scene long remembered in popular English tradition following Admiral Benbows running battle in August off Santa Marta, the Royal Navys main effort was not off the Spanish Main, but off the Spanish coasts in Europe. It was hoped that this strategy would encourage Portugal to join the Allies, open the Strait of Gibraltar, and secure English naval power in the Mediterranean. Their allies, the Austrians, were clamouring for a naval presence in the Mediterranean to assist them in achieving their own primary ambitions – the capture of Spains provinces in Italy. 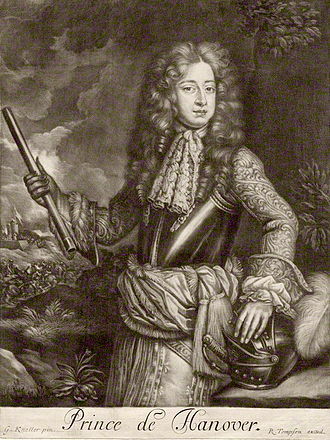 Admiral George Rooke (1650–1709) by Michael Dahl. Battle of Dunbar (1650); Scotland was incorporated into the Commonwealth after defeat in the Anglo-Scots War. An introductory pack of the new currency. British decimalisation training stamps in the same colours and values as the upcoming decimal stamps.